Jenn Sublett Hair Project has a 24 hour cancellation/rescheduling policy. Should you cancel or reschedule with less than 24 hours notice, you will be charged the price of scheduled service to be paid at your next visit. Please know when appointments are made, my time and studio have been reserved especially for you. Everyone’s time is valuable. For safety reasons, no child under the age of 12 may accompany you while you are having a service. I adore children & know you understand that we cannot assure their safety in a professional environment (think - sharp shears & razors, chemicals, heating elements exceeding 400 degrees). 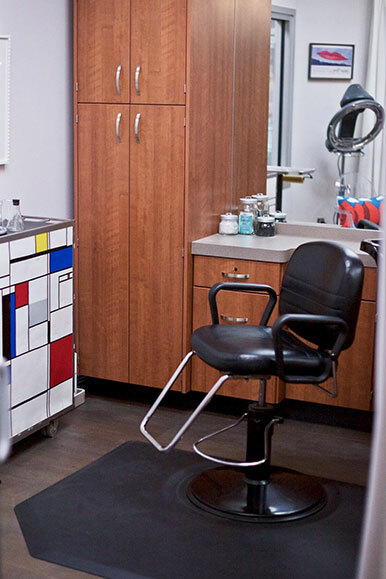 Your time is valuable, we must maximize the enjoyment & relaxation of your appointment. Hair Product Exchange - If you are not happy with the hair care product I suggested, I am happy to issue a product exchange within 30 days of your purchase. I want you to be completely happy with your hair. Please, do not hesitate to let me know if there is any aspect of your hairstyle you are not satisfied with. Your feedback is vitally important. If you love your hair, your hair will love you back - Promise!